The XC series finale, this race can make or break a few titles. Riders will be at altitude with a wee bit of climbing 🙂 Expect pine trees a plenty and some descending that will keep you grinning ear to ear! Camping is permitted on National Forest Land near Fort Valley trailhead. 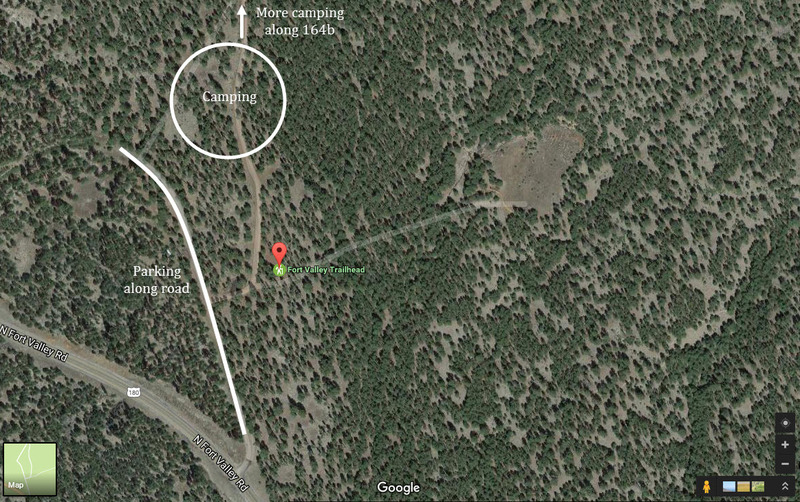 There is also camping at the Freidlein Dispersed Camping Area off of Snow Bowl Rd. Please take a look at our venue map to know where park & camp. Note, this will also be NAU graduation weekend so if you’re looking to book a hotel book early. View the parking & camping map. Save money and time – sign up online, early! Signup for an MBAA membership for just $20 ($10 for juniors under 18) and contribute directly to trail projects across the state. Plug you’ll get a cool pair of members only socks and sticker. You’ll also be entered into out members only raffles drawn at each race! Up until 2 weeks before the event you may get a 50% refund or 100% transfer to the next event. If there is no next event (ie the finals) we cannot make any further accommodations. The age you will be on June 30, 2019. Awards are 3 deep per category. Awards will be done as soon as possible after protest periods end and results are approved by the officials. Every event is not possible without the help and support of volunteers. Help make these events great by giving back a bit of your time. 5 volunteer hours are required to be eligible for the series championship. A friend or family member can volunteer in a racers place. Once the event concludes, all results are final and no changes can be made. * Series awards will follow wave awards. Team awards will be at the end of the 3:30 awards.